Very minor faint lines across the background have forced me to drastically discount this artwork. 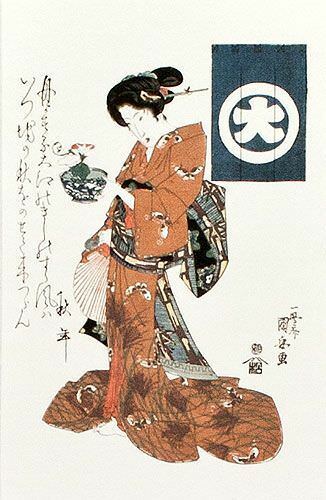 This is a reproduction of an old Japanese woodblock print. I created a batch of these, and a few were not perfect. I am slashing the price to less than half. This is a real bargain if you can ignore a minor flaw (I am really picky, as most people would not notice the issue).